ETH had reclaimed the second position on the top cryptocurrencies list by market capitalization with a current total market cap of $12.75 billion, whereas Ripple on the third place has $12.5 billion. The fact that Bitcoin recently gained 10% affected ETH better than its effect on XRP’s price. Ripple is considered one of the cryptocurrencies with the highest percentage of inverse correlation to Bitcoin. The Constantinople Ethereum hard-fork, that was previously delayed to February 27, 2019, caused ETH to decline and lose the title of the second largest crypto to Ripple. The Constantinople hard-fork is expected to take place later this month on block 7,280,000. 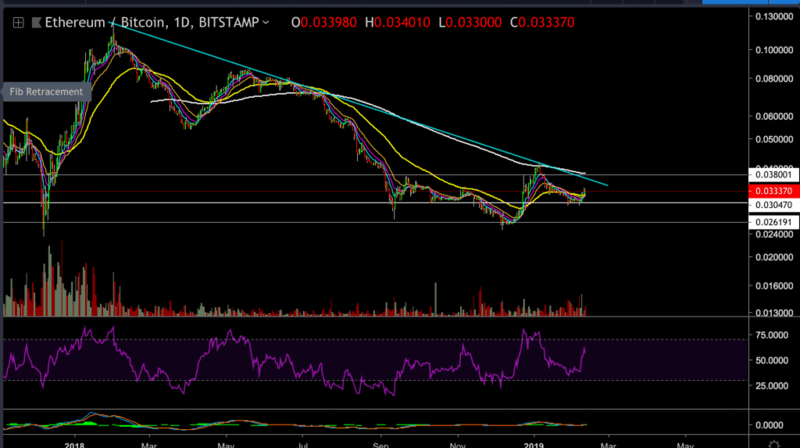 In case the bullish momentum will continue, Ethereum has an excellent chance to search for higher highs. At the moment ETH is trading around the $120 price level. 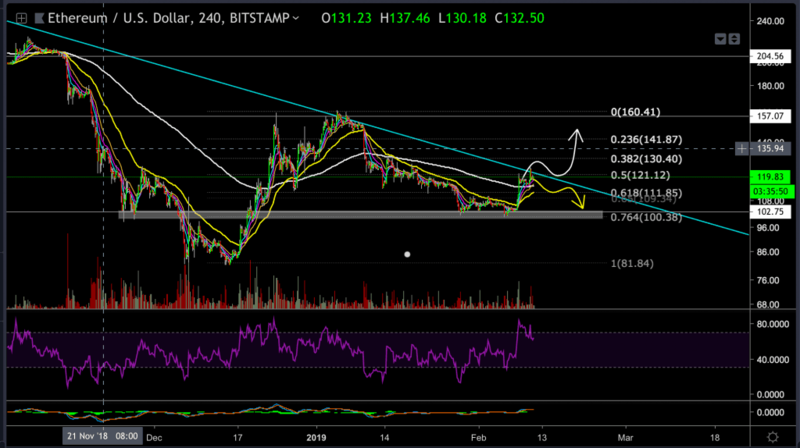 The bigger picture: ETH price corrected down following the last crypto rally, and found support at the 0.764 Fibonacci retracement zone, where the bulls regained strength and started pushing ETH price back upward. At the moment, ETH is facing a strong resistance level of the descending trend-line (daily chart). 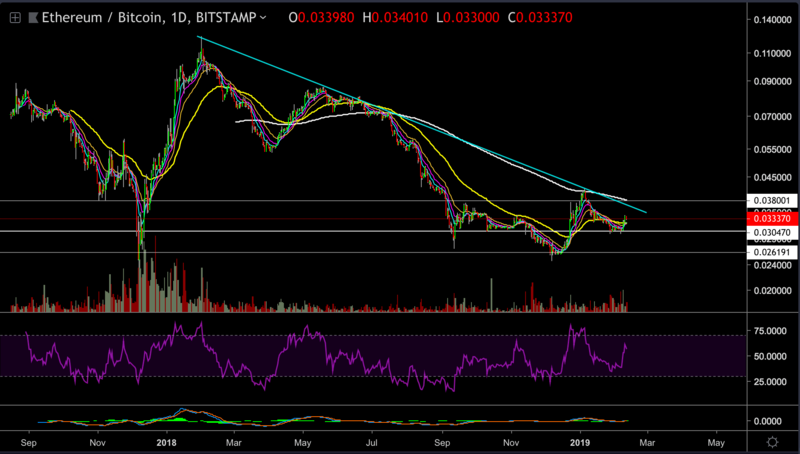 From the bearish side, if ETH price gets rejected by the descending trend-line, then the $100 price level could become the next support target for ETH. The daily RSI indicator is currently above the 50 levels and maintains a bullish continuation scenario. Against Bitcoin, ETH price has some more room to move higher before facing the daily descending trend line where it is likely to encounter resistance. The post ETH Becomes The 2nd Largest Crypto And Faces Major Resistance: Ethereum Price Analysis Feb.11 appeared first on CryptoPotato. Crypto Community’s Daily Digest: Can Ripple Overtake Bitcoin to Become The Largest Cryptocurrency?